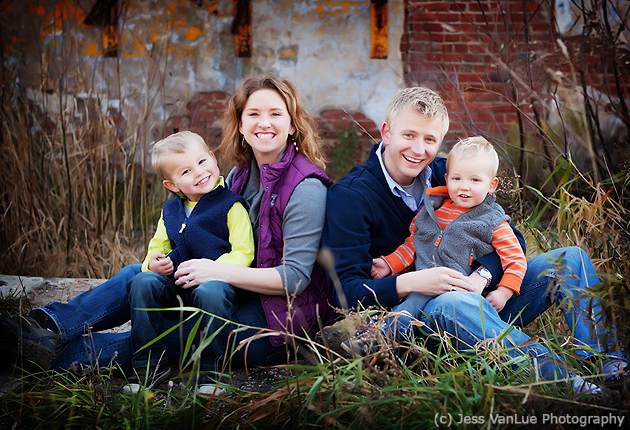 30 Nov Mini Session … Success! 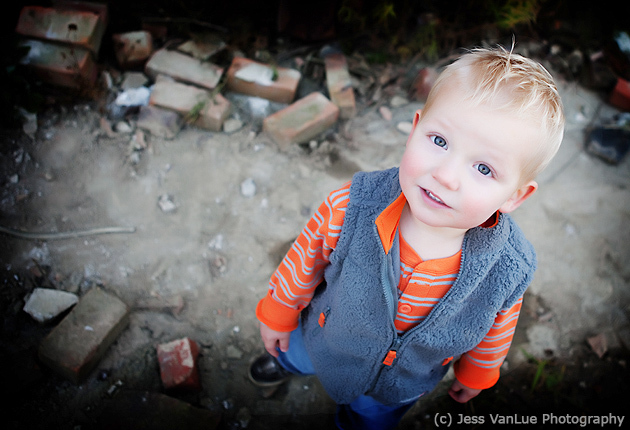 Tis’ the season for mini sessions! The theory and idea behind mini sessions are great … shorten the session which benefits the client in price and the photographer in time and work. Two birds with one stone, right? Yes, but those 2 birds are very hard to hit with one stone. Creating a comfortable, friendly environment and warming up to children doesn’t always happen right away. But on mini session time, it needs to happen right away. No worries, it can. A successful mini session is almost more rewarding than a successful full session. Both the parents and the photographer walk away feeling very accomplished. This session definitely had me on cloud nine. 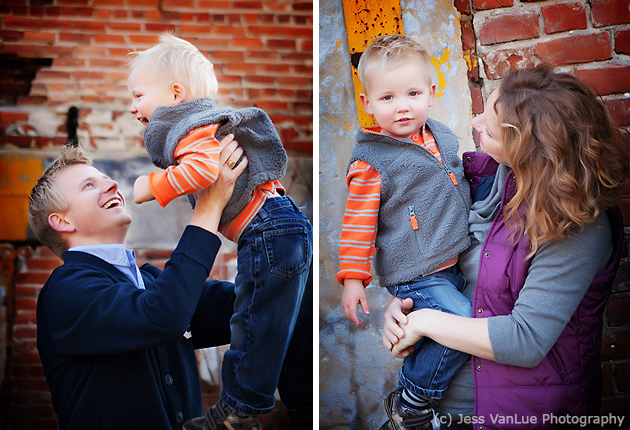 These parents came to me knowing exactly what had to be done to pull off a family photo session in 20-25 minutes. 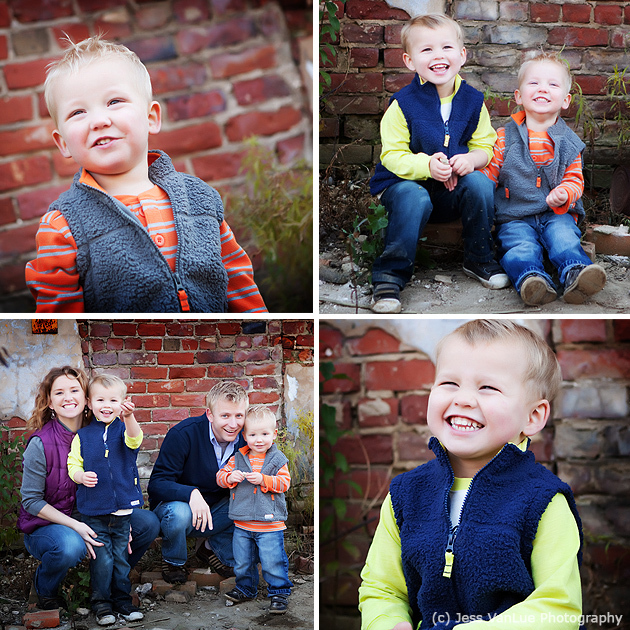 Mom and Dad were beaming with wonderful, positive energy, and the boys completely reflected them. We had a blast together and the time flew by. 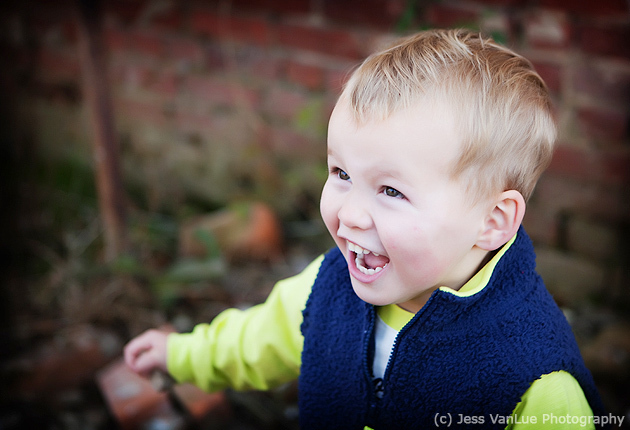 I look at these photos and I can still hear the giggles and sheer craziness all around. And kudos to mom for choosing such fun clothing that perfectly fit her family’s personality. Inspiration: Their energy. Truly. Color, love, and crazy fun inspired this entire mini session. Favorite Element: Finding this gem of a location by accident. The colors and textures complimented the whole look. Photographers Final Words: Embrace the mini session. Bring along your super cute clothes, your giggles and smiles, and most importantly your fun, positive attitudes. 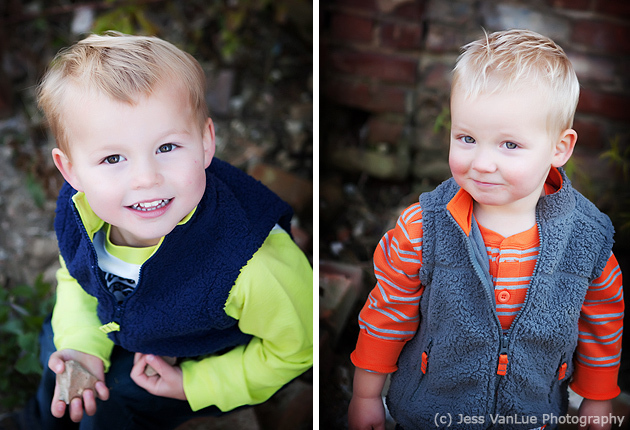 It’s a recipe for a photo mini session success. 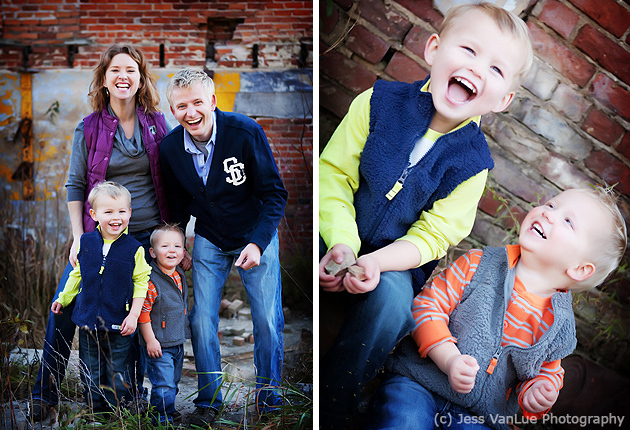 Thanks to this cute little family for sharing their contagious energy. Jess Vanlue is nothing short of AMAZING! She has been shooting our family since the beginning and will continue for years to come! Thanks for all the great memories captured Jess!!! You Rock!! !